Here’s a short little audio story and regular story about Annett Mateo, who makes puppets for the Seattle Children’s Theatre. I’ve never seen the 1982 film The Deadly Spawn, but John Dods, the special effects director, has a ton of behind-the-scenes photos showing the construction of the creature. Super-fan builds is an online show where prop makers build one-of-a-kind items for obsessive fans of all things pop culture. 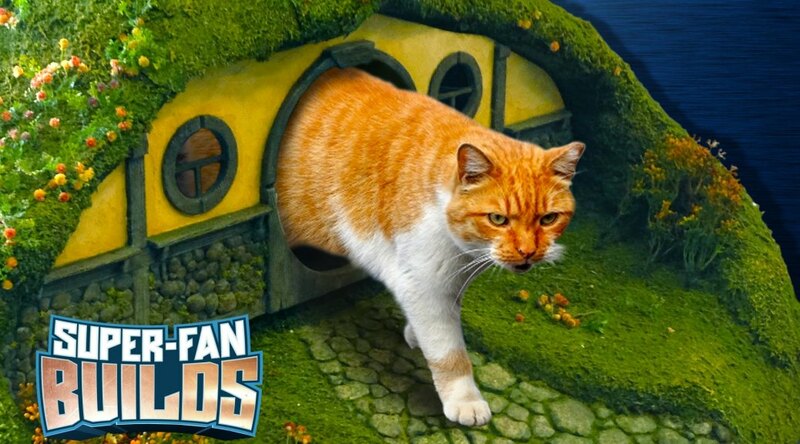 In the latest episode, Tim Baker and his crew build a Hobbit house litter box and Eye of Sauron scratching post for a cat-loving fan of Lord of the Rings. Tsabo Tsaboc has a set of photographs detailing the build of a dagger from the Elder Scrolls Online video game. Hat tip to Propnomicon for finding this one. The New Yorker has a great piece on theatrical special effects, where they follow around Jeremy Chernick of J&M Special Effects. I almost did some work for Chernick when I lived in NYC, and he was definitely one of the go-to guys for any kind of effect that wasn’t specifically props, costumes, lighting or scenery. Empire Online has a piece that boldly proclaims “In the Future, All Film Props Will be 3D Printed“. While that statement may be a bit hyperbolic, the article itself is an interesting look on how digital fabrication techniques are being integrated into the pre-production and production phases of filmmaking, and what benefits they give that traditional fabrication techniques don’t. Since we’re talking about the future, check out Cinefex’s piece on the future of practical creature effects. For a time, it looked like filmmaking was heading for a future where a single actor stands in front of a green screen, and everything else was digital. Now, practical creatures (and props and sets) are making a comeback; effects teams have a better handle on how to plan out and integrate digital and practical, and new technology has made possible practical effects which were previously unachievable. Finally, check out an easy way to make tin advertising signs. Jesse Gaffney takes some tin and a ballpoint pen, and makes signs that have some dimensional detail. Nice! 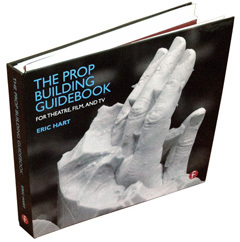 Stage Directions has a round-up of some of the top theatrical special effects companies out there. They talk about the most challenging effects they have pulled off in a live performance, and how they work with a theater to plan it out and make it happen. The Wire has a short history of ventriloquism which is quite fascinating, if a little bit creepy. I especially enjoyed the video of Ray Alan performing with his “Lord Charles” dummy, who was performing a ventriloquist act with his own, even smaller, dummy. Pop Chart Lab has a great poster giving a stylistic survey of graphic design. It looks like a handy reference for when you want to check if your period piece has correct-looking paper props and ephemera. 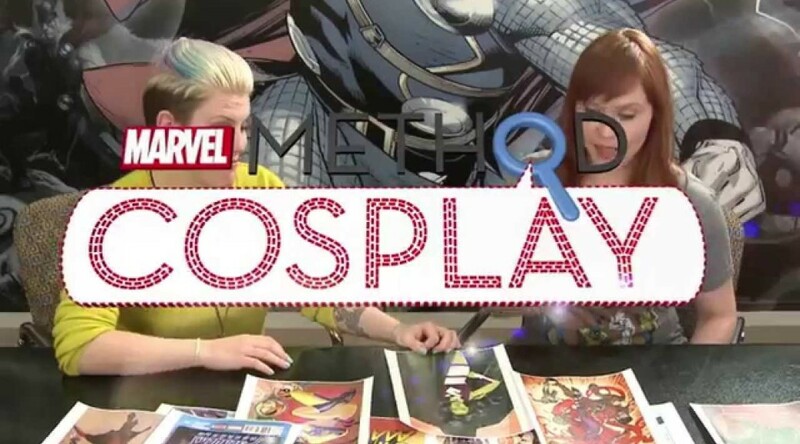 Marvel Entertainment has started their own web video series on cosplay, and the first installment shows them planning and designing the costume they will build. And hey, looks like they are borrowing a costumer from the world of theatre to help them out. Go, theatre! John Barton has been a props master for over 50 years, on films such as Cool Hand Luke (he cooked all those eggs). Coeur d’Alene Press has a nice article about his life and career. The Standard Examiner has a great article about Michelle Jensen, the props master at Hale Centre Theatre. Right now, they are working on Mary Poppins, which has more than its share of trick props and unique items. The Museum of Every Object you can Probably Think Of looks fantastic. Its real name is the Ettore Guatelli Museum, and it houses over 60,000 objects of everyday use. Check out the pictures in this article. Jurassic Park turned 21 this week, and Wired has a look back on how it revolutionized special effects. The film famously used a mix of CGI and large-scale puppets for the dinosaurs. For a look at what-might-have-been, check out this pre-visualization test of stop-motion puppets, which is what they were originally going to use. I remember seeing the film on opening day with my dad and brother; hard to believe that was 21 years ago. This week, famed illustrator and designer HR Giger passed away. Perhaps best known for his work designing the creatures in Alien, his aesthetic has found its way into numerous sci-fi and horror films, and even theatrical productions. BFI has a great post showing behind-the-scenes photos of Giger working on Alien, while Creative Review has a good round-up of his conceptual and illustration work. BBC Culture shares a viewpoint that filmmakers are returning to old-school special effects and real miniatures. While CGI can accomplish things that are impossible in reality, real sets, props and models still give more authenticity to a film, and in some cases, can be cheaper and easier to incorporate. So keep on proppin’! The previous article stems from the announcement that Disney will be incorporating more practical effects and less CGI in their upcoming round of Star Wars films. Esquire also had an interview with Roger Christian, the set decorator on the original trilogy. He talks about how he took scrap metal from airplanes to make the halls of the Millennium Falcon, and other interesting tidbits. Sticking with the Star Wars theme of today, Tested has the tale of how obsessive fans built a better Han Solo blaster. Several fans spent countless hours reverse-engineering the prop weapon used in the original film to come up with a replica that was as screen-accurate as possible. It’s like a detective story and a prop-making story all wrapped into one.